There is a huge increase in the enrollment in the fitness clubs at the beginning of the year. People are motivated and make resolutions to stay fit and healthy. But more than 88% off the people lose motivation in the first month only. A survey revealed that engagement with the people encouraged them to stick with their fitness goals. Fitness centers can also provide this type of support with the help of SMS. Nowadays many Fitness centers and Gyms Using Bulk SMS. In today’s world, people rarely leave their phones. More than 90 percent of people keep their phones with them all the time. In gyms, people make use of their smartphones to track their performance with the help of apps. Gyms and fitness centers can make sure that their customers are receiving and reading the text messages. The main aim of fitness clubs is to keep the customers motivated. Gyms are already offering social media marketing, loyalty programs, and personal coaching. But only a few are making use of SMS services. Let us discuss how fitness clubs and gyms are leveraging the power of bulk SMS for their marketing. You can send personal messages to the clients and congratulate them for showing up at the gym. If they have taken the membership of the gym, you can congratulate them. This will make them feel special, proud and motivated. You not only have to do this at the beginning of the journey. You have to periodically encourage your clients. You can announce new programs and classes with the help of bulk SMS marketing. You can encourage the clients to join these classes by sending them discounts and shortcodes. You can also send the shortened URL to the clients so that they can check the complete information on your website. You can also offer them short discounts to make them feel special. You can encourage the customers to come back and complete the training program. If a person is missing the classes for a few days in a row, you can remind them to come and complete the remaining course. Make sure that you do not make them feel guilty. Instead, you can use the words of encouragements to boost their morale. Send SMS to the clients to remind them of the important meetings and appointments. Send automated SMS in order to notify the clients to join the meeting. Send them a schedule of the classes and remind them of the classes well before time. This can improve the sales as well as the attendance that too at low costs. Bulk SMS can help in the real-time interaction with the clients. Two-Way communications are also beneficial as the customer can easily reach out to you. You can inform them about new events, changes, and cancellations. Bulk SMS services can also be used to manage the staff and internal notifications. Staff members can also be notified of changes and new rules in the organization. Bulk SMS can also help in building a strong customer database. You can encourage the clients to join your contact list. You can also encourage the prospecting clients to join the fitness club. You can create urgencies, flash discounts to motivate the client to take action. Bulk SMS service can save a lot of time for you. Instead of calling 50 customers, you can send bulk SMS at one go which saves a lot of time as well as money for you. You can also send payment reminders and payment confirmation messages to the clients. This improves the brand value of the fitness clubs and customers remain informed about the payment status. You can promote the classes and events that are not full. You can encourage the clients to join the program by sending promotional messages and discounts to fill them up. You can also give them personal discounts to fill those classes. 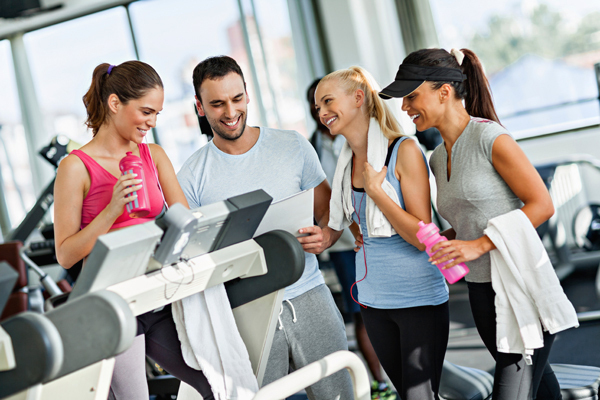 Fitness centers and gyms can carry out surveys to know what people think of their gym. Gyms can carry out surveys to know the customer feedback and how to improve the gym and ensure the members to renew their membership. Fitness centers and clubs can improve customer support service with the help of bulk SMS services. It is an effective way to handle the queries of the customers. The customer does not like to wait for long to get their queries answered. The automatic messaging system eliminates the need to interact with the humans. This saves a lot of budget and time of the fitness centers and gyms. Bulk SMS service can be effectively integrated into the marketing campaign of the fitness clubs and gyms. Many small, as well as large gyms, are making use of bulk SMS services to leverage their sales. There are many other ways how bulk SMS can be used for the expansion of the business. SMSLAB is offering bulk SMS services for the gyms and fitness centers at affordable prices. If you too own a gym, you can consider taking services of SMSLAB to enhance the sales of your business.